Play Arts Kai Roxas O.XIII ver. There was a Spring sale at Square-Enix Store and I got myself Play Arts Kai Kingdom Hearts II – Roxas N0.5 Organization XIII Version, for £79.99 ($114 USD). 20% off. Will I ever open it? No… Never. I love me toys to be in packaging. Who do I hope they release next? Xion. I like the character. Such a mystery. I’m still baffled that some people see her as Xion and some see her as Sora, Ventus, or still the faceless puppet. 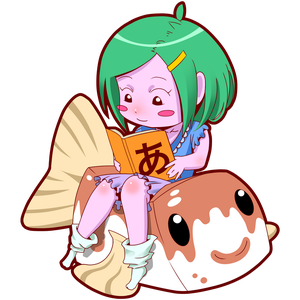 Entry for Tofugu sticker contest. took me about 2-3 hours. Did I win? no. But its okay, I had fun and it got me to try and be a little bit creative. 600 people reached the top of Mt. Everest in 2012. This blog got about 7,000 views in 2012. If every person who reached the top of Mt. Everest viewed this blog, it would have taken 12 years to get that many views. Wow, the last of the triple digits we see until the next cycle of triple numbers accur again. 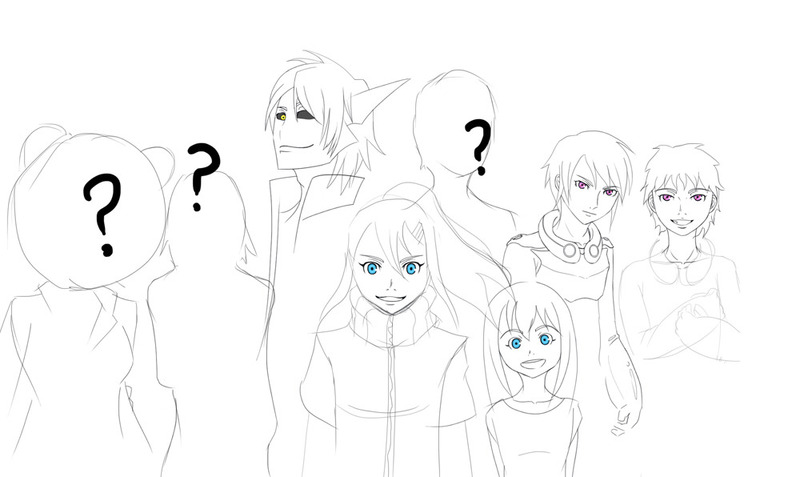 And here’s another WIP I did for LN. In the Eureka Seven Universe. Gonna be doing some HobbyLink.TV competition, which is to traditionally colour in a car, the Lambo Aventador. Here’s what the lineart from a plastic kit Syd and Ryan want coloured in. Oh, its not just any colour, it has to be Gundam related. It must resemble a Gundam, favourite Gundam or such. For me, it may just be a red Gundam… Justice? Aegis? Zaku II? who knows! Leuel, from Lamentable Nights. Though shes not suppose to be a “A”, shes actaully a “C”. (Learnt that today from the pro’s). It’s cos shes kid like in nature >_>;; yah.